If I model my life activities on the way I see Christ behave, I can be called an imitator of Christ. But, the depth of the imitation is only outward; it does not reflect what is going on in my heart and in my mind. The exciting and life changing reality of knowing Christ and submitting one’s life to Christ is that Christ comes and lives within us. We can thus say we are “in Christ”. Now, what begins to happen is that I no longer just imitate Christ but now the inner part of my life (my heart and mind) begins to change. The presence of Christ, his character, his compassion, his humility, his justice and righteousness, his perspectives and priorities, his love becomes mine. Outwardly, transformation is seen through the expression of Shalom in word and deed, followed by signs of the work and fruit of the Holy Spirit. Another way of putting this would be to say that signs of the Kingdom of God are seen in my life. Does this just happen the moment we give our lives to Christ? Jesus explains to Nicodemus (John 3:1-8) that the only way for us be able to see the Kingdom of God unless we are born again of the Spirit. • This means everything to me! What is it that they are longing for with such passion, what is it that means more to them than anything or anyone else? The judges of the show will tell the candidates that they don’t have the X factor, even when they can sing well. They will judge them on their looks, their charisma, their outward appearance. Sometimes I think we, as Christians, can play a similar game with one another. We seek celebrity status through promoting a total outward package as if to win votes: we build our own reputations, we sell our own ministries. We may truly start out wanting to do God’s mission but our desire to be recognised and validated - to be a winner - can be over powering. How do we prevent this from happening? We need to be aware of the warning signs. You can do a quick self-assessment by simply asking what it is that you long for and what means everything to you? One way to keep us on the right track is to serve others or do small humble tasks for others that you tell no one about. Do things that no one will realise you did. Intentionally build others up, even at the expense of yourself. Philippians 2:3-4 invites us to consider the interest of others above out own. 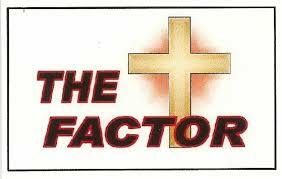 Do you have the X Factor or should I say the Cross factor? I invite you to do something special for someone else today. Why not consider calling up a member in another country and offering to help them attend the Micah Global Consultation? Don’t tell us you have done it, simply be a blessing and see God move! Amen! We thank you for each country in Latin America and we excited and honoured to be able to make the journey to this region of our world. We pray for Alfonso Wieland, their International Director, as he recuperates from major surgery. Lord we pray that you will restore him to full health. We pray for Ruth Alvarado, our event manager in Lima, as she draws all the important activities together. We pray for her health and safety and that of her family. That they may know your grace and presence each moment of each day. Lord, we pray that you will open doors for Ruth that enable her to be a blessing to each person she works with. We pray for all the Paz y Esperanza team as they touch lives with your love, Lord we ask you to provide them with the resources they need to make a difference. Thank you Lord for each of our National Coordinators around the world who have caught the vision to Micah 6:8. We long for each one to be able to join us in Peru. To come and share what they are doing and to be encouraged and strengthened for the next phase of our advocacy initiative. Lord, we pray for the funds to be raised for each coordinator to be able to attend Peru. Lord, as we reflect together on what Micah should be doing in the coming year, please give each coordinator your heart and mind on this so that we will together be able to discern your will and walk in it. Thank you Lord for the members of our international Interim Board who have given of their time and energy to lead Micah. We pray for wisdom for them as they develop the new governance structure of Micah Global. We pray for their united leadership as they deliberate over how best to support Micah. We especially pray for the Board meetings being held in the build up to the Consultation, that there would be a clear way ahead for Micah, guided by your Word and Spirit. Lord, we thank you that as a Global movement we can be blessed by the diversity of all who are a part of Micah. We pray for the interpreters who will be enabling us all to understand one another through the use of 5 languages: Spanish, English, Portuguese, French and Russian. For the interpreters we still need to find to help in September and with translation of the materials – Lord we ask your help. May each person be blessed and filled with your presence as they play such an important part in communicating the sessions and materials to share with us all. Thank you for their gifts and we ask a special peace and multiplication of their abilities. Lord we know time pressure will start to build up for all of us who are involved in administration, as we gather the materials, the papers, the registrations, the handbooks together. For the safe and timely delivery of the books for the books stall. Lord, thank you for Jenny, Ruth, Roland and Adrienne as they work together to cover these tasks. Keep them safe and well and give them insight to anticipate all that is needed. Lord we lift up our Consultation to you and offer it as an offering for your Spirit to guide us so that not one thing will be lost or forgotten. Multiply Lord, and walk with us through this time. "if my people, who are called by my name, will humble themselves and pray and seek my face and turn from their wicked ways, then I will hear from heaven and will forgive their sin and heal their land" (2 Chronicles 7v14). 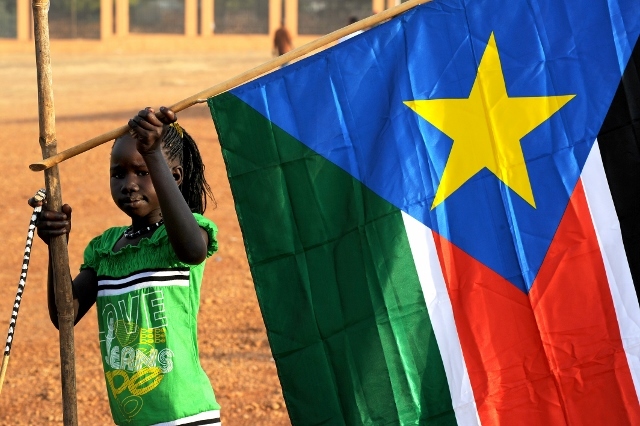 Thursday, July 9, 2015 marked four years since South Sudan became an independent state. However celebrations were muted as the situation in South Sudan remains volatile. In December 2013, fighting erupted between President Salva Kirr and former Deputy President Riek Machar. The nature of the conflict is a complex mix of ethnic, tribal, economic and political dimensions. Today more than 1.5 million South Sudanese are internally displaced, and it is estimated that 40 per cent of the population are severely food insecure. Despite various attempts to secure a peaceful resolution, the fighting continues. • Courage and strength for people affected by the violence; particularly people who are sick, separated from loved ones or homeless. • Wisdom and mature hearts for the leaders of South Sudan to honour and adhere to a peace agreement, to lead and govern well and resolve their differences. • The Church in South Sudan; that it is able to play a significant role in the negotiations, being a prophetic voice towards a homegrown solution for peace and reconciliation. This prayer reflection was provided by Micah member OM International here. 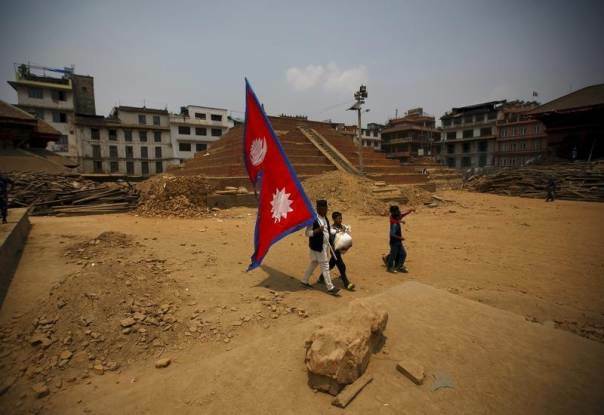 There is a new normalcy in Nepal since the earthquakes. While many Nepalese have begun tearing down their destroyed or damaged homes and constructing semi-permanent shelters, there is also the farm work to think about. With the monsoon rains during the summer, this time of year is generally busy with harvesting wheat and planting new rice seed. The OM Nepal Disaster Response team is in discussion about how they can be involved in providing manpower to families who may need practical help in the coming weeks and months. Another way that OM Nepal has been involved in disaster response efforts is hosting kids' trauma camps at local schools. To date, one camp was held for about 150 students at one school, and another one is planned for next week for another 150 kids in a school in Rasuwa. The trauma camp has different stories, activities and games to go with different themes every day, including "You are not alone," "You are loved" and "Be strong and brave." Please continue to pray for Micah's members in Nepal as they work towards being Christ’s hands and feet. Pray for continued wisdom for leadership as decisions are made. And pray also for more people in Nepal to come to know God as their Saviour, Provider and Friend. Micah Cambodia have requested the Micah community to pray for the ongoing legislative process relating to the passing of the Law on Associations and Non-Governmental Organizations (LANGO). 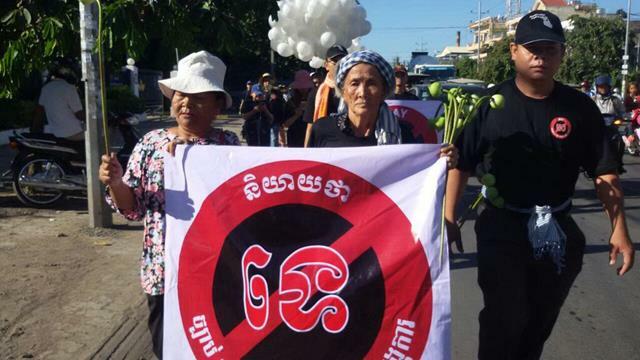 Widespread protests by civil society have failed to prevent this matter from passing the first stage of being entered into law. Please pray for God's wisdom and intervention as civil society in Cambodia faces potentially debilitating restrictions on their freedom to exist and work in Cambodia. 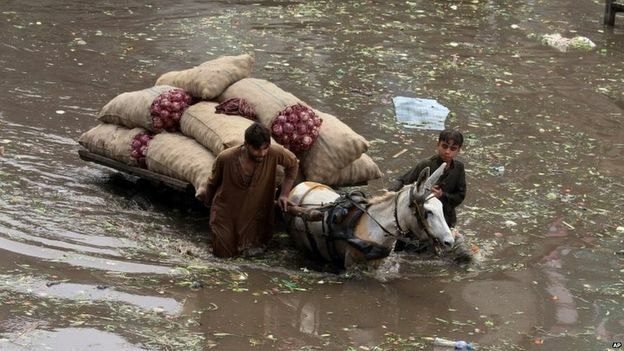 Over 200,000 people have been affected by severe floods in Pakistan. Director of PMS, Mr Adeel Rehmat reported to Micah that disaster responses had been initiated as the scale of flooding evolves. He asks us to pray for all the families who are affected that aid would get through to them quickly. Pray too for those who are responding, that resources would be made available for them to reach the vulnerable in a timely and supportive way. The flood is being caused by heavy monsoon rains coupled with melting glaciers. See PMS web site for updates.